This webinar, presented by StriveTogether, highlights a detailed collective impact approach focused on improving outcomes and changing systems in communities. Listeners will learn about measuring the success of collective impact initiatives and using data for person-centric improvement. The presenters will also share tangible tools to engage cross-sector stakeholders to identify root causes impacting community-level outcomes and implement strategies to influence policy, practice and behavior changes. StriveTogether is a national, nonprofit network of more than 70 communities using a rigorous approach to accelerate progress and sustain success in education. 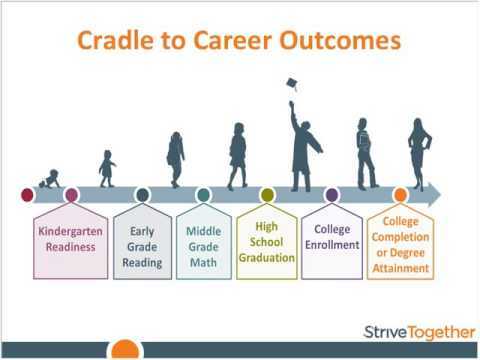 We provide coaching, connections and resources to our local partnerships and work together to measurably improve six results from cradle to career.